Another great idea for the children. 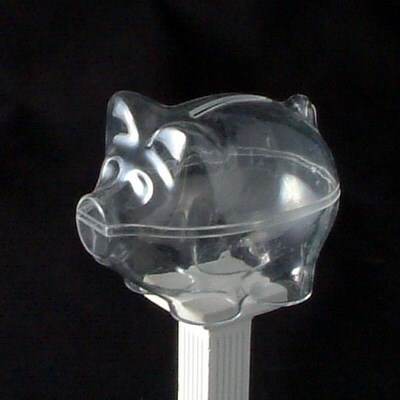 This clear pig money box can be filled with their favourite sweets mini eggs, jelly beans, foil covered chocolate balls or for the boys footballs are always popular. The boxes come in two halves that click together once you have filled them.